Facebook is one of the most popular social networks widely used by majority of users to keep in touch with closed friends and loved families. It provides a wonderful platform for you to send message and photos, share music and videos with others. Among them, the most attracting feature is the video calling service, which can make face-to-face communication easier. To preserve funny moments for future recalling, you may wonder how you can record Facebook video calls with no efforts. In this case, we will introduce you two simple solutions to record Facebook video calls so that you can watch the precious video chats later. It is Joyoshare Screen Recorder that is well designed to capture Facebook video call along with any other desktop on-screen video. Dedicated as it is, Joyoshare Screen Recorder can capture any video as well as audio activities on your PC with high quality. By making full use of this effective video recording program, you are allowed to capture Facebook video call, grab game music, record any area on your desktop screen, make an impressive video guidance, take GoToMeeting webcam conference recording, etc. Significantly, Joyoshare Screen Recorder includes full supports for recording settings, permitting you to keep both Facebook video chat and audio simultaneously. No matter which mode, video recorder or audio capture you prefer, there are a wide range of supportable formats. Furthermore, it enables you to select a capturing area based on the actual requirement, choose favorite output format, cut video during recording process, take screenshots anytime, make a scheduled capturing task in advance, add effects to cursor, etc. When a Facebook video call recording is produced, you have right to edit and upload it to YouTube straightly. Now the following in-depth tutorial will lead you to record Facebook video call with Joyoshare Screen Recorder easily. Direct to click Facebook app on your desktop screen to run it, making preparation for recording a coming Facebook video chat. Go straight to download and install Joyoshare Screen Recorder on your own PC. You'd better go for its official website to make it. The whole process will be completed within few seconds. It will be satisfactory to select a capturing area at discretion, meaning you can decide no matter which region to be recorded on your Windows screen. Simply click the "+" button on the top left corner of main interface and then a pop-up window will be shown in your sight. Zoom in or zoom out it to adjust the capturing area. Besides, you can pick up the screen size from systematic standard ratio, like 320x240, 640x480, 1280x720, full screen, etc, or enter a specific number to ratio frame manually. 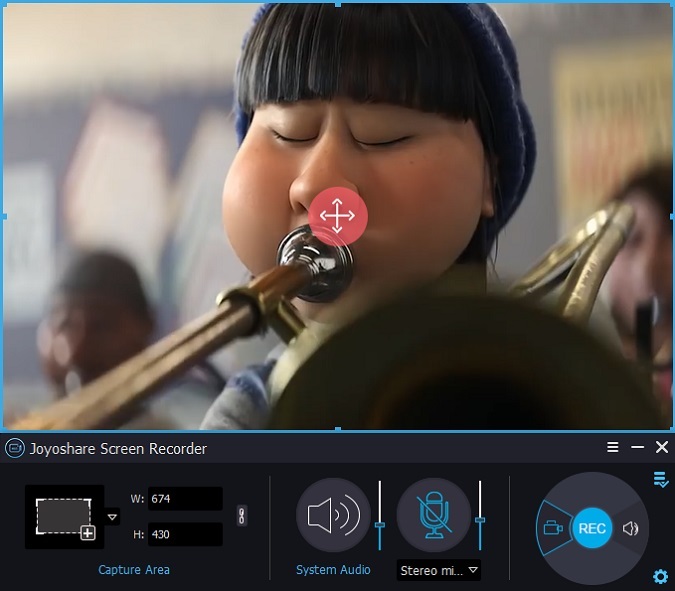 Joyoshare Screen Recorder is accessible to close system voice or microphone sound as long as you need it. By doing it, you can avoid any unwanted noise and keep your Facebook video call with finest quality owing to intervention is not included. What's more, Joyoshare Screen Recorder offers ability to capture both Facebook video call and audio simultaneously. Hence, you have choice to record based on your need. Note: It is capable of serving as an independent audio capture for Joyoshare Screen Recorder. The audio icon next to the red button "REC" is developed to realize it. To make Facebook video call capturing with your own style, you are entitled to choose desirable output format, utilize shortcuts, create a scheduled recording task, highlight the cursor, etc. When a Facebook video call begins, click "REC" button to start a recording. 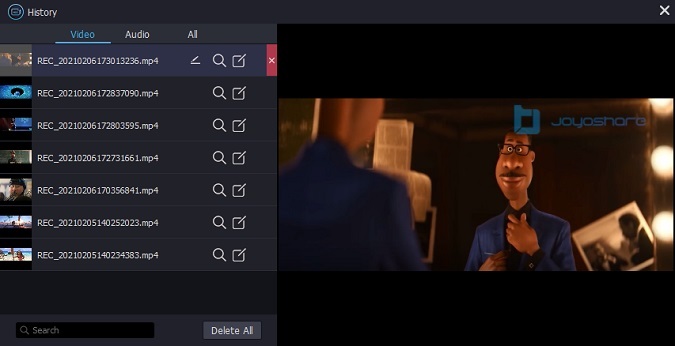 During the capturing process, you can feel free to take any screenshots or split the video to different segments. Now you can preview recorded Facebook file, which can be edited by revising its file name, adding correct ID3 tags information, etc. The second way to record Facebook video chats is to use Apowersoft free online screen recorder, which is totally a web-based program. Obviously, what facilitates you is that utilize it from website directly without install any third-party software on your computer. However, the shortcoming is that it comes without professional video editing tool and is not as safe as other offline screen recorders. Here you can refer to following instruction to capture a Facebook video call. 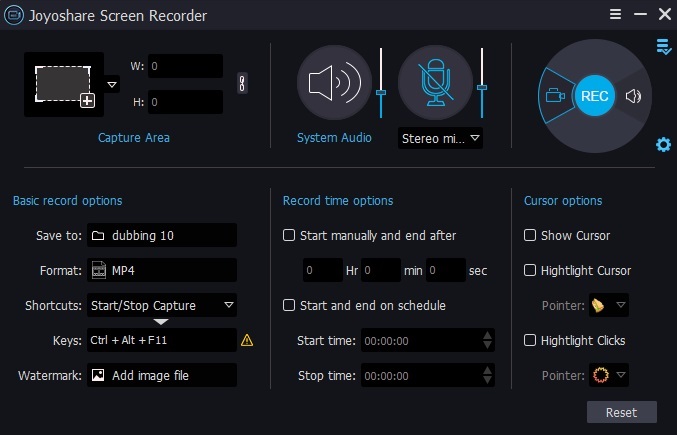 Press "Start Recording" button on webpage to run this online screen recorder. Set recording hotkeys as well as output format on the "Options" menu and select one type of audio input, microphone voice or system sound. 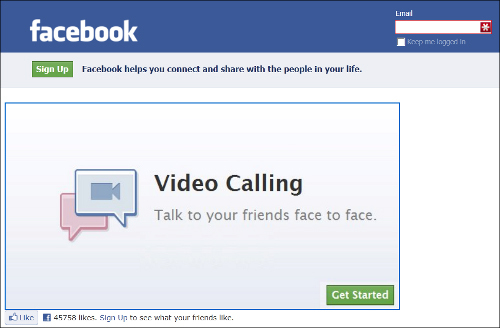 Open your Facebook and have a video call with others. Then, you can click and drag the window to choose a recording region. Click "REC" button to start recording when you are on a Facebook video call. Once it is ended, just click "Pause" button to stop recording. 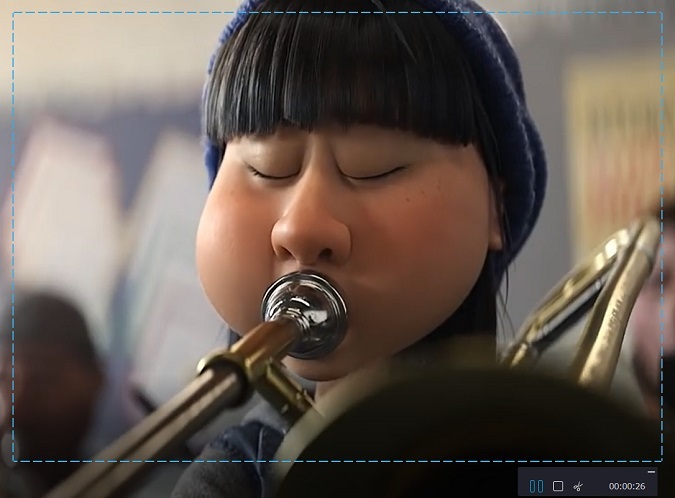 Preview the captured Facebook video and add effects to it. 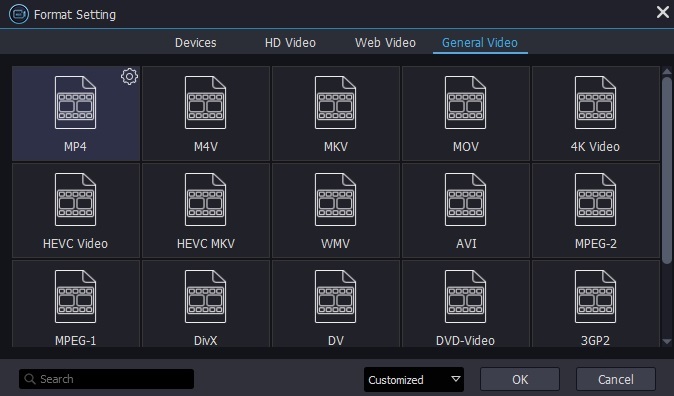 You can save your destination files to video formats or GIF format.